How to Make a Pet Bed Out of a Recycled Suitcase - Pet Holiday Gift! Home » How to Make a Pet Bed Out of a Recycled Suitcase – Pet Holiday Gift! 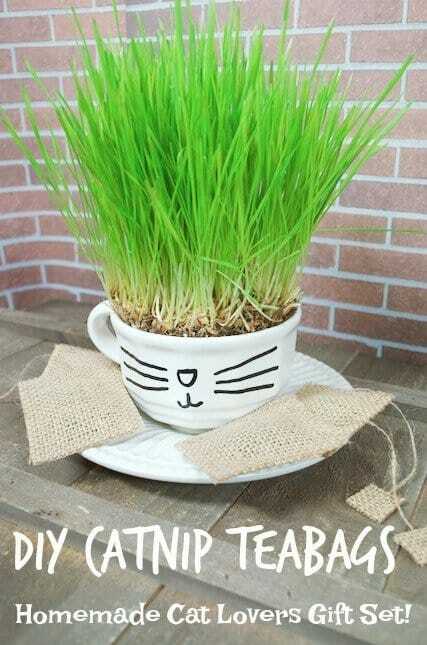 OK I just LOVE this idea for a frugal pet holiday gift or recycled project! It’s perfect for cats and small dogs (or other critters that run around in your house!). 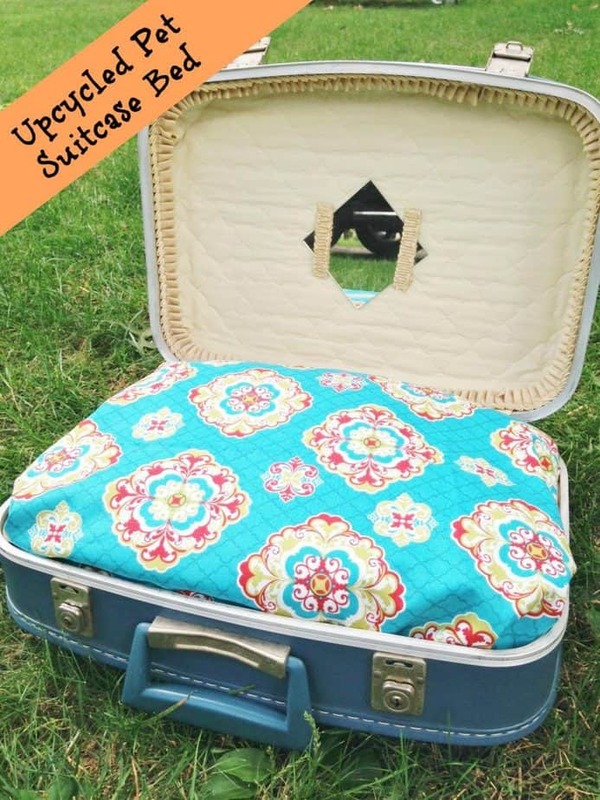 You can easily create a fun and frugal pet bed out of an old suitcase in just minutes. Not to mention just close it up and it’s ready to travel! *1 yard of fabric in your choice of color/pattern. 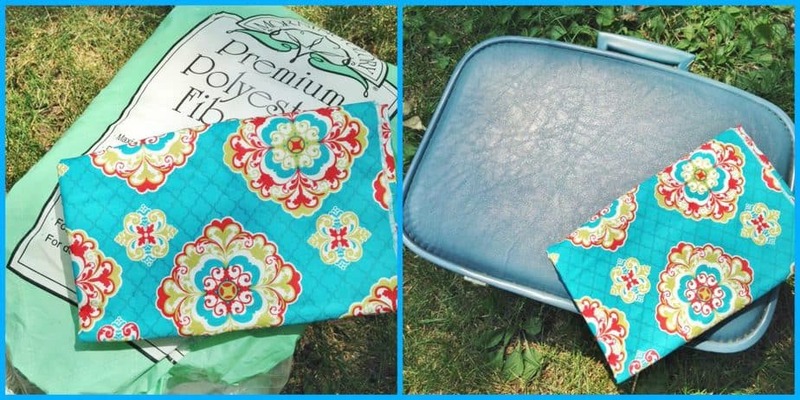 Choose an easy to care for fabric that will wash well. 1. Begin by washing the suit case well. 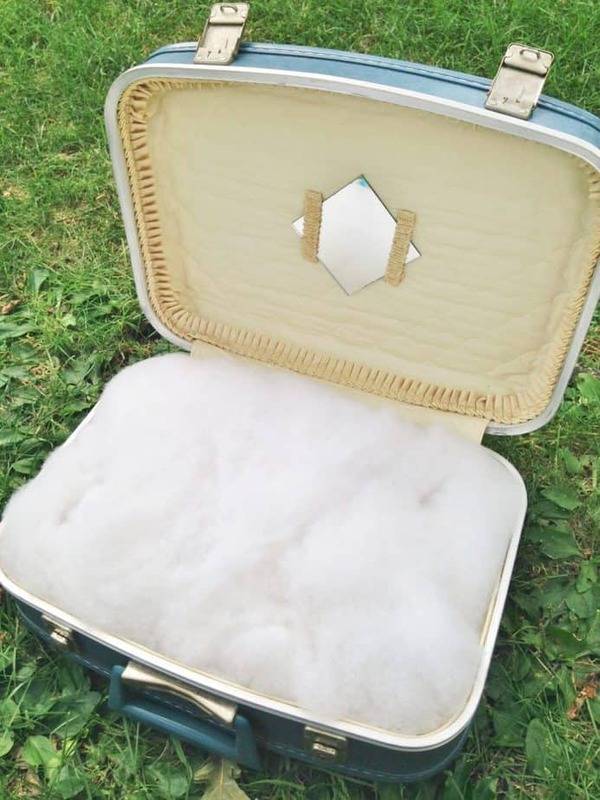 A magic eraser works great on the outside of the suitcase while you can use a spot treatment on the inside. Febreeze or baking soda is also great to help eliminate musty odors. I can almost always find these types of suitcases real cheap at my local thrift store! 2. Fluff up your batting as you want the bed to be nice and full. 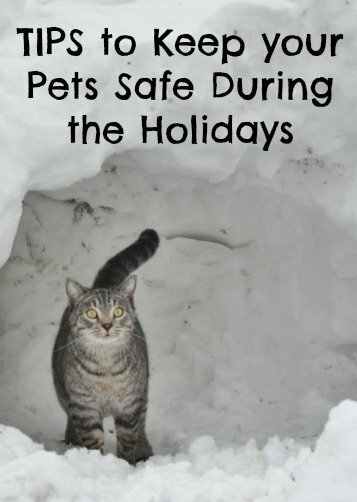 Remember your pet will be laying on the bed so make sure there is plenty of padding! Place the batting inside of the suitcase. You want to place enough so the batting runs over the edges just a tad. 5. If you are worried about your pet becoming closed in the suitcase, you can always prop the lid with something or remove it by simply removing the hardware holding it in place. Otherwise, the lid is great for adding embellishments such as toys , a mirror, or a pouch for grooming items . To travel with your pet bed, just close it up and go! To clean the bed, you can spot treat it or gently pull the fabric from the sides of the suitcase. Wash the fabric and glue it back into place. Another option is to consider using velcro strips instead of hot glue as well! !